Watch your step as you are about to fall head over heels in love with this simply STUNNING family home! Presented to an impeccable standard from top to bottom, both outside and inside, this wonderful home with GARAGE to the rear, even has the capability of having one area sectioned off into a separate annex if required. 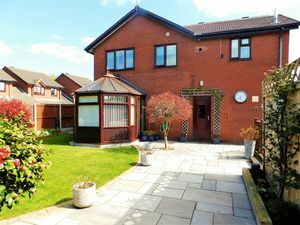 The superb accommodation comprises an entrance hall, guest wc, large living room and vast contemporary refitted kitchen/breakfast room opening through to a conservatory whilst there is also a dining room, utility and side porch, all of which could be used as a kitchen, living room and separate entrance for an annex. 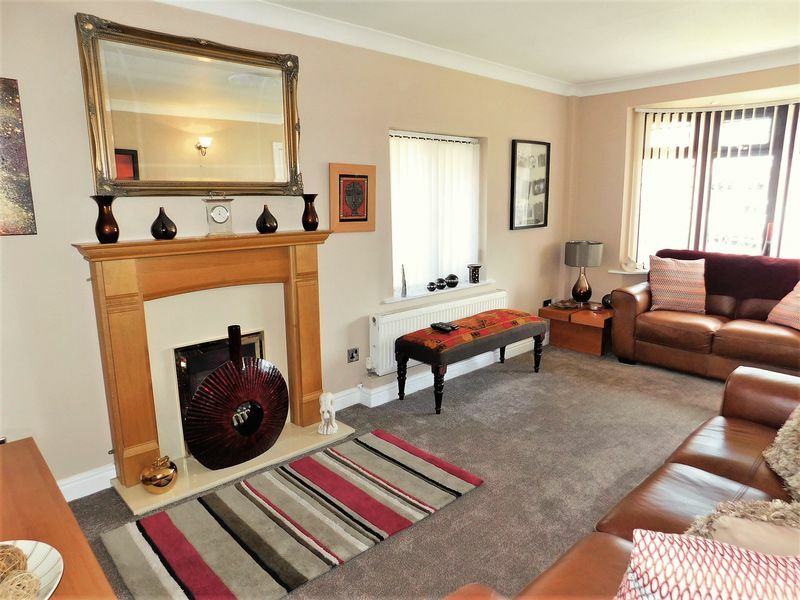 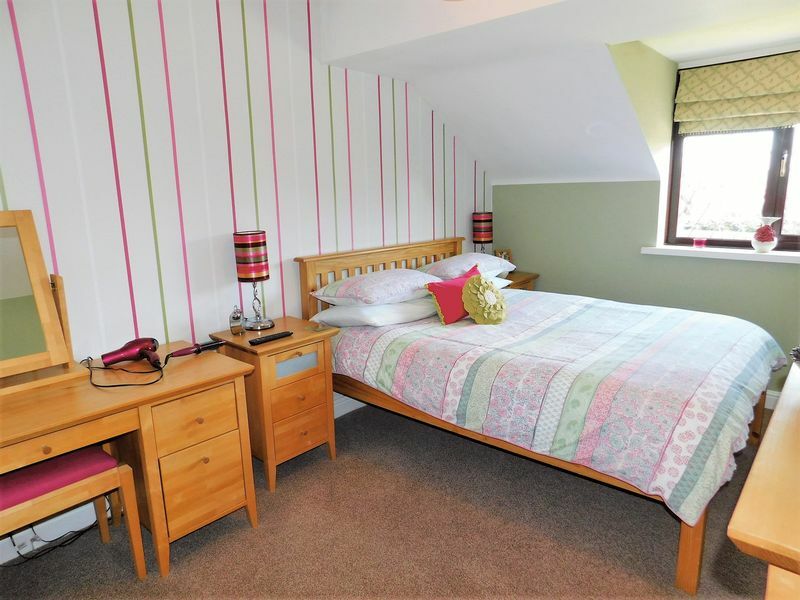 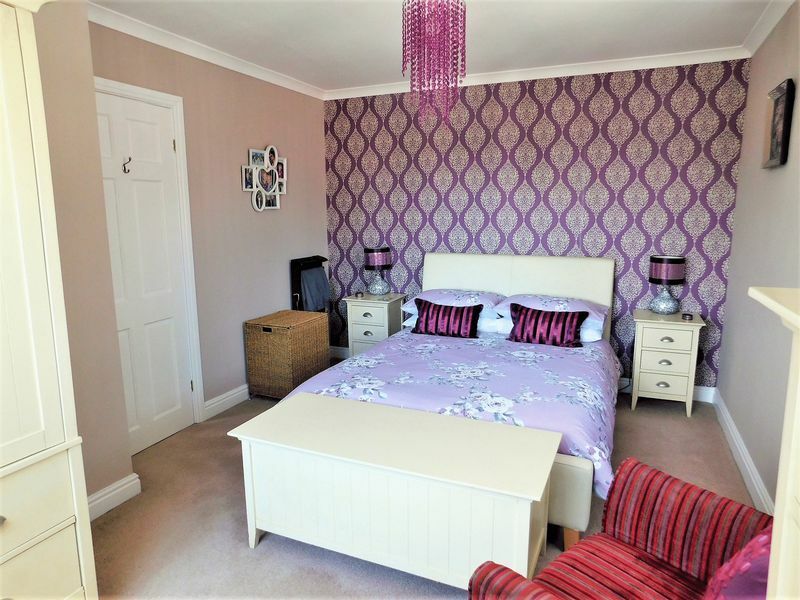 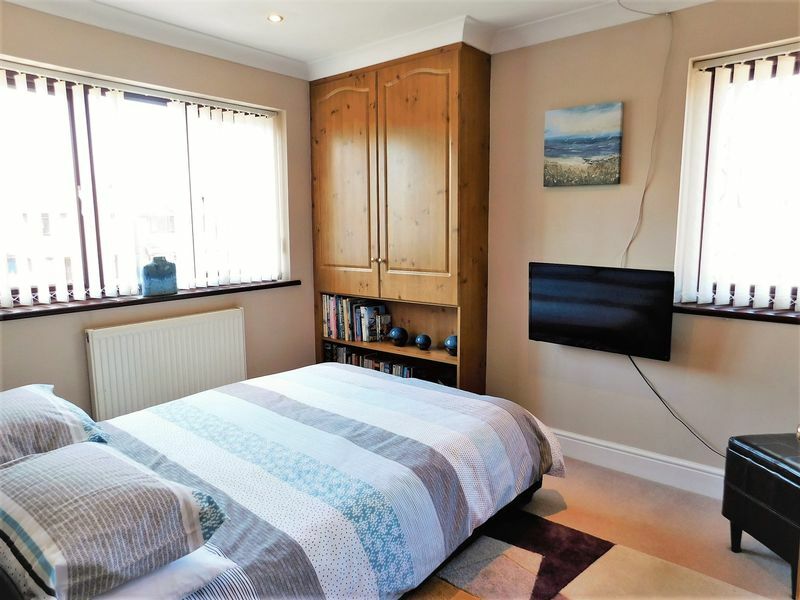 Upstairs are a total of four bedrooms which include three very spacious doubles, with two bathrooms comprising white suites with a secondary staircase leading up to one of the bedrooms and bathrooms, with the potential of being part of the potential annex. 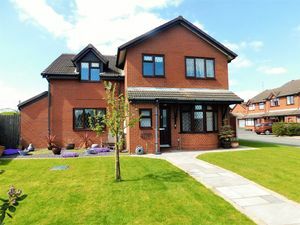 Outside is a quite magnificent spacious landscaped plot with an extensive lawned frontage with the enclosed rear comprising of a lawn, extensive flagstone paved patio and substantial raised timber decked seating area whilst gates lead out to a taracadam driveway sitting in front of the garage. This property can only be fully appreciated with an internal inspection to admire its beauty throughout, so call us today and book in your viewing. 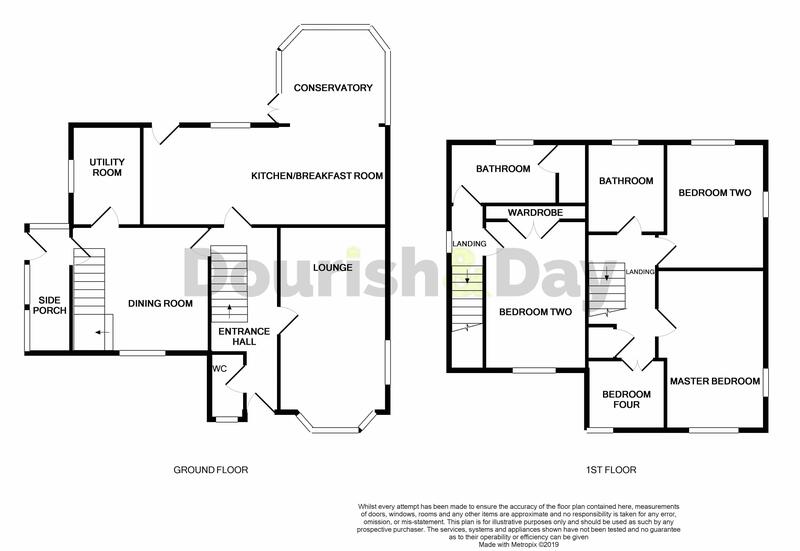 A front facing composite exterior door with double glazed panels inset opens to a spacious entrance hall which is fitted with a KARNDEAN wood effect flooring, ceiling coving and a radiator. 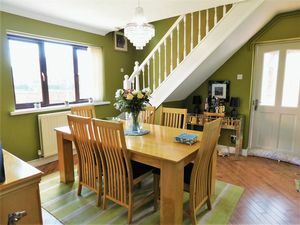 A staircase leads up to the first floor accommodation. A contemporary guest wc comprises a white suite which includes a low level flush wc and wall mounted wash hand basin. 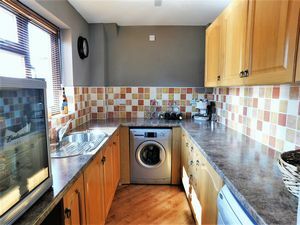 The walls are tiled to halfway whilst there is a radiator and KARNDEAN wood effect flooring. 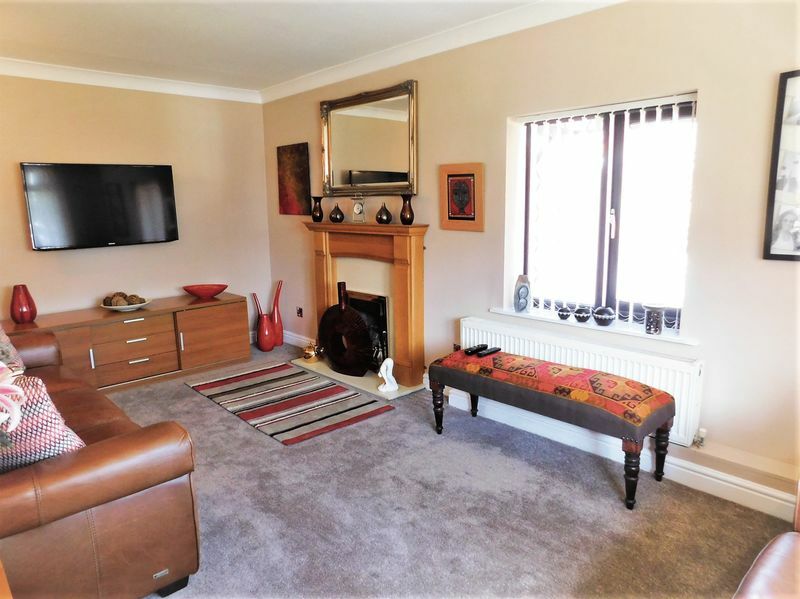 A very spacious living room with dual aspect has a front facing UPVC double glazed bay window and a further side facing UPVC double glazed window. The room is fitted with a radiator and a gas fire sitting in a marble effect fire surround with solid marble hearth beneath. 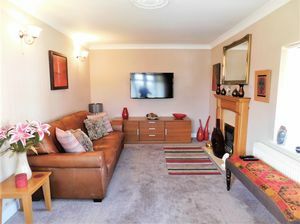 There is also ceiling coving and a tv point. 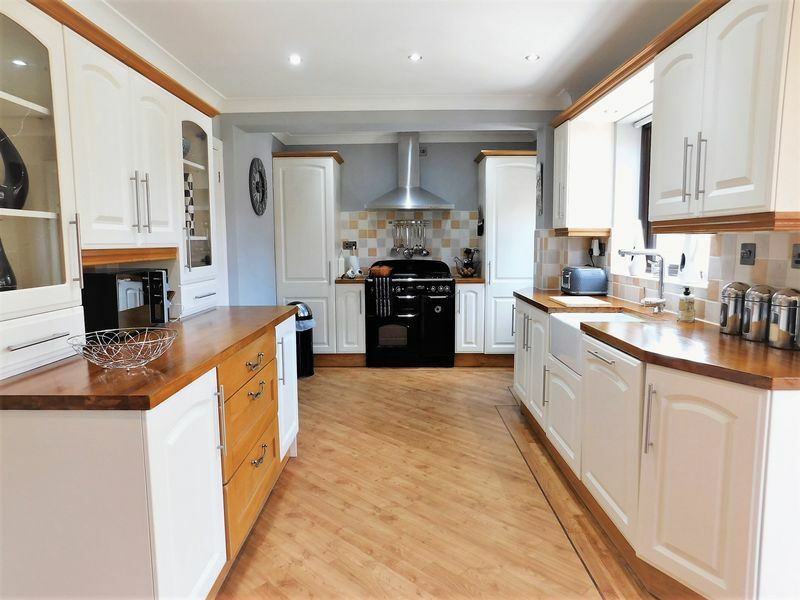 This large and beautifully appointed kitchen/breakfast room is fitted with a range of matching base cabinets and wall units whilst a ceramic BELFAST style sink is set into a wood block work surface with chrome mixer tap. 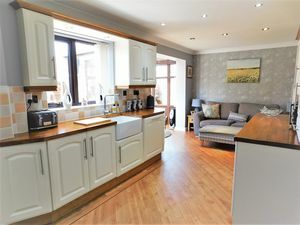 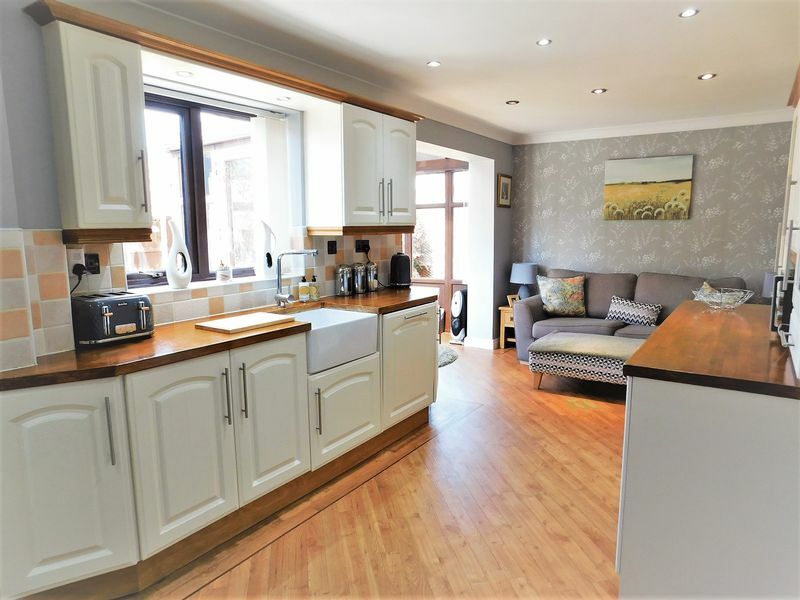 The kitchen is fitted with an integrated dishwasher and full height fridge whilst there is space for a Range style cooker with stainless steel extractor hood above. 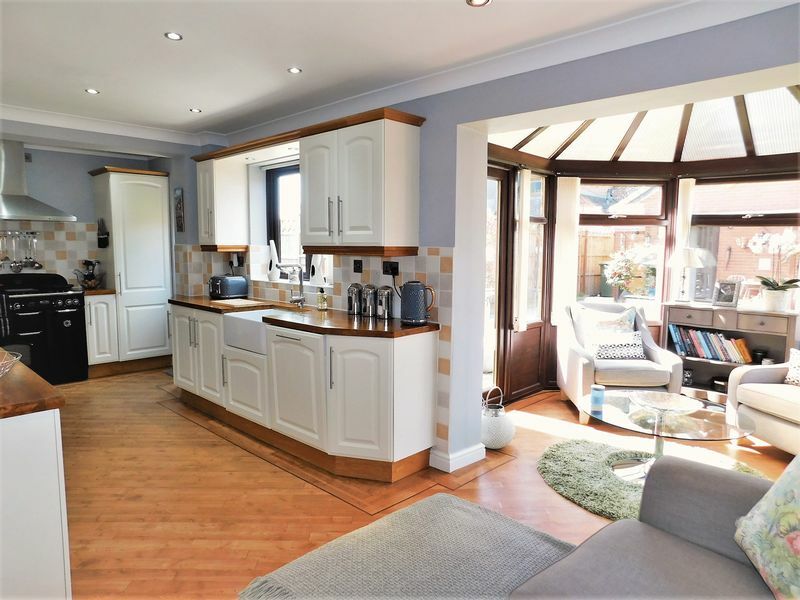 The kitchen is also fitted with a KARNDEAN wood effect flooring, recessed ceiling spotlights and ceiling coving whilst there is a radiator and recess leading through to the conservatory. 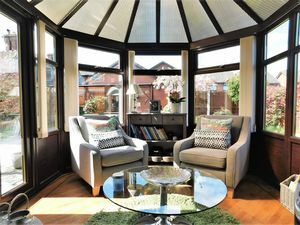 There is also a rear facing UPVC double glazed window and rear facing UPVC double glazed exterior door leading out to the garden. 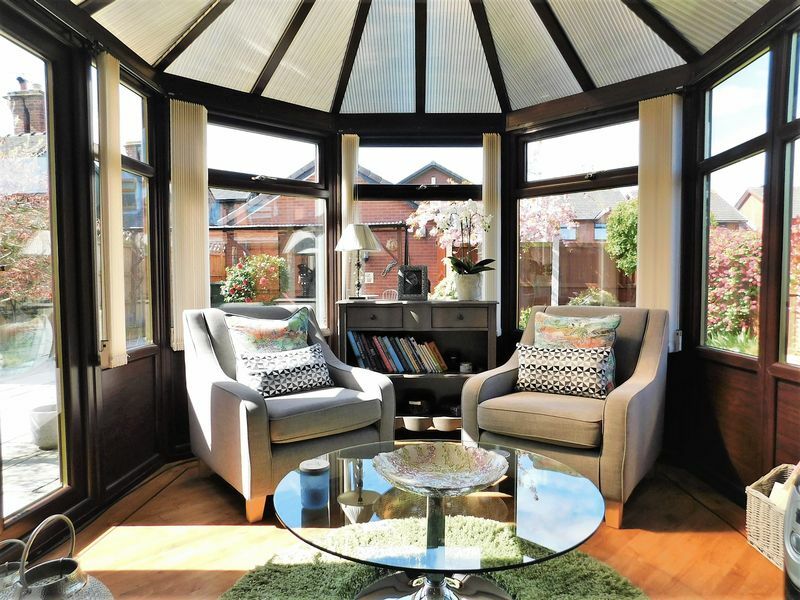 The conservatory creates a sitting area off the kitchen and benefits from having UPVC double glazing looking out to the side and rear elevations. The KARNDEAN wood effect flooring continues through from the kitchen whilst side facing double doors lead out to the garden. 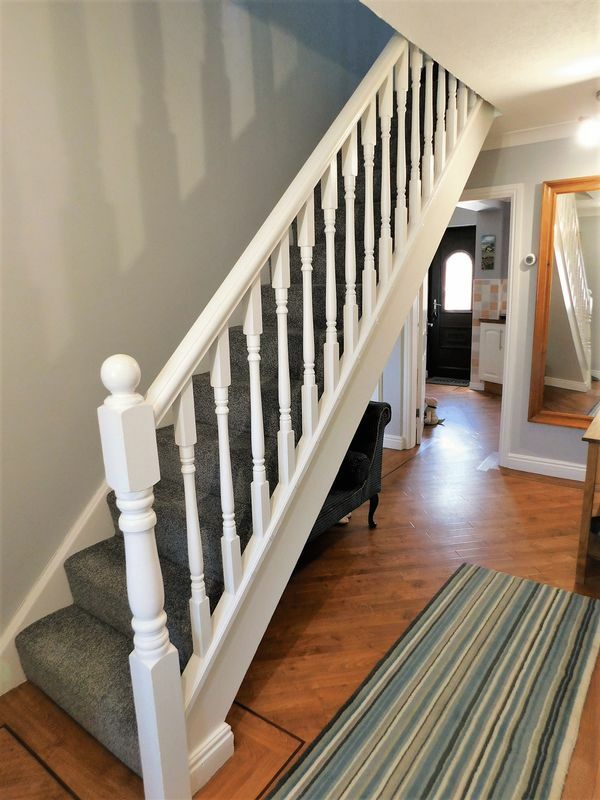 A staircase leads up from the entrance hall to the first floor landing which is fitted with ceiling coving and houses the loft access hatch and a useful over stairs storage cupboard. 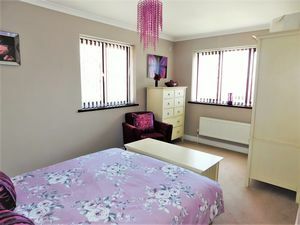 The property benefits from having a very large and naturally bright master bedroom with front and side facing UPVC double glazed windows. There is also a radiator and ceiling coving. 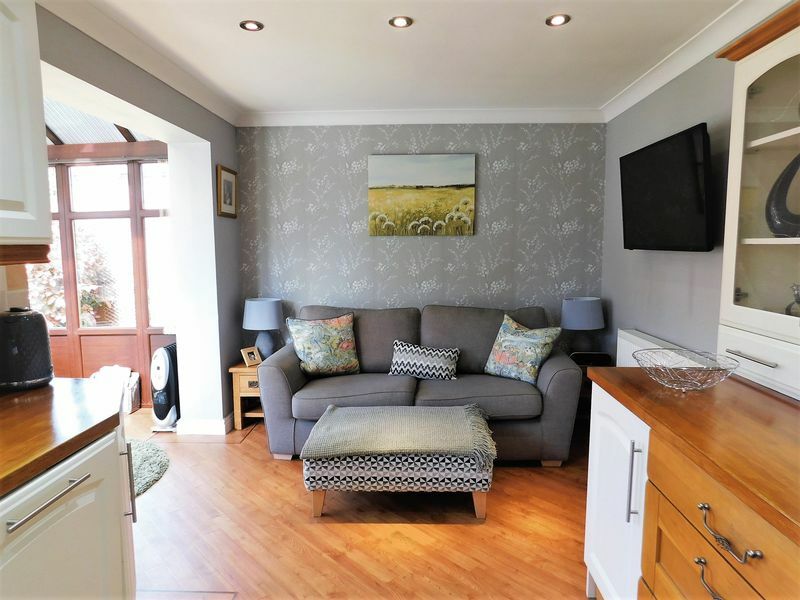 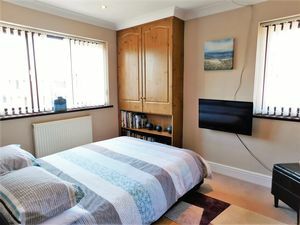 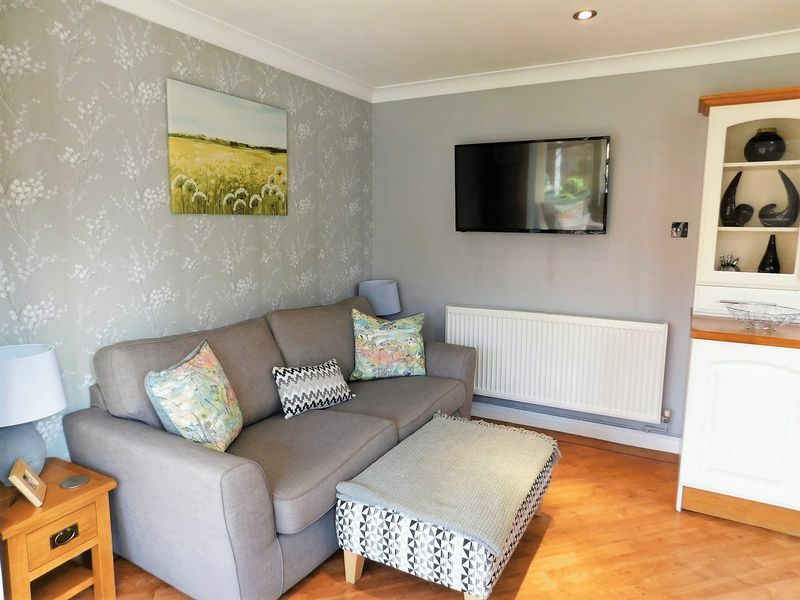 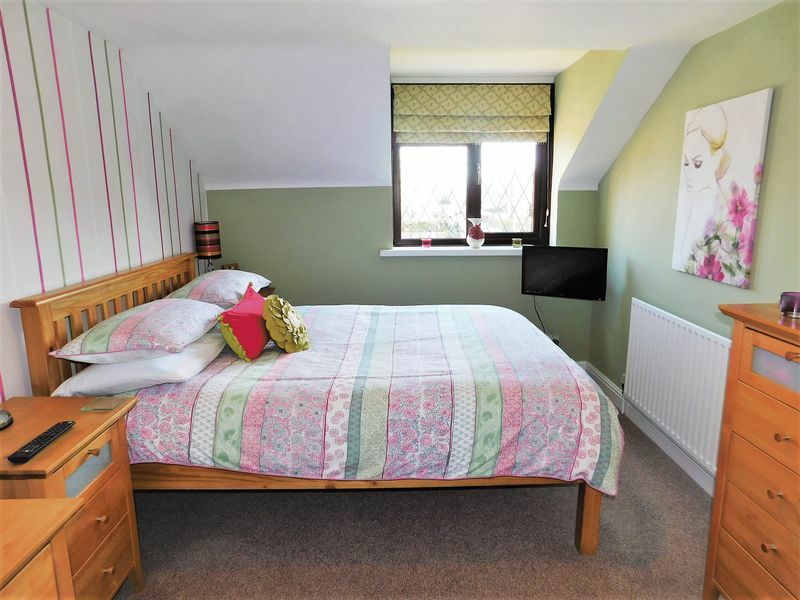 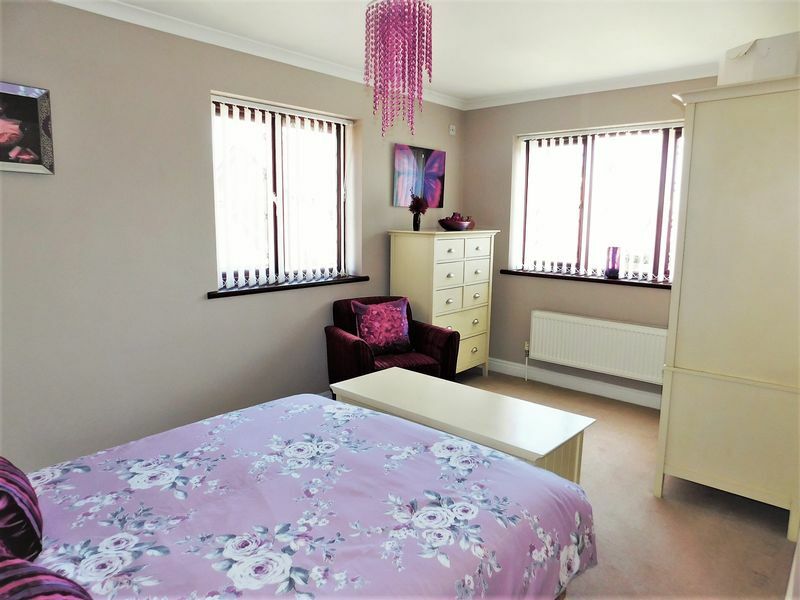 A spacious and bright third double bedroom is fitted with side and rear facing UPVC double glazed windows whilst there is also a radiator, ceiling coving and recessed ceiling spotlights. 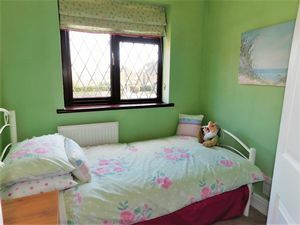 Bedroom four is fitted with ceiling coving, a radiator and a front facing UPVC double glazed window. 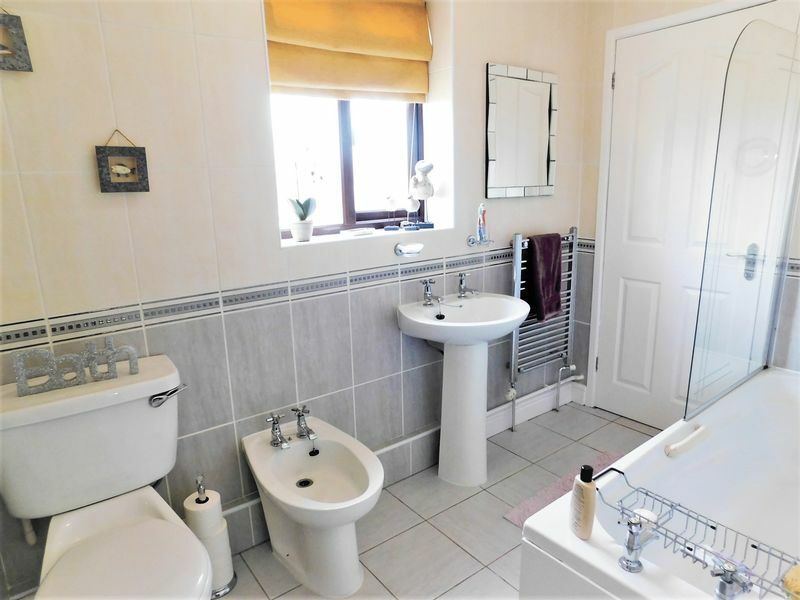 The family bathroom is fitted with a white suite which includes an integrated low level flush wc, bidet with chrome mixer tap and a vanity unit with wash hand basin and chrome mixer tap. There is also a P shaped panelled bath with chrome mixer tap and shower over whilst the walls and floor are fully tiled. 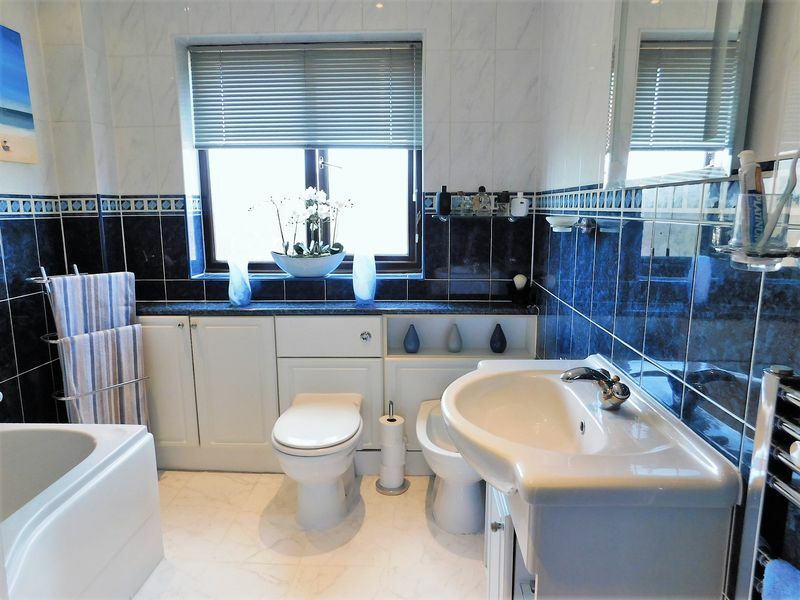 The bathroom is also fitted with an extractor fan, recessed ceiling spotlights, a wall mounted chrome heated towel rail and rear facing UPVC double glazed window. 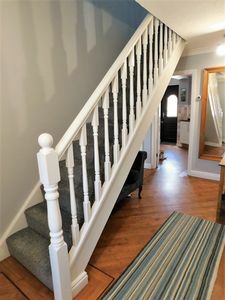 A second staircase leads up to a further landing from the dining room where there is a loft access hatch and side facing UPVC double glazed window. A front facing up and over garage door opens to a single garage which benefits from having its own lighting and power. 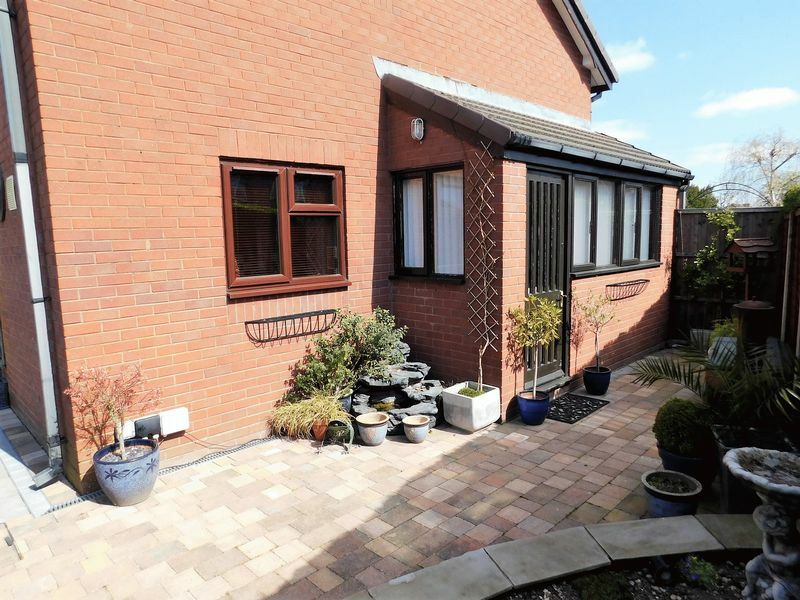 A side facing door with glazed panels inset opens out to the rear garden. 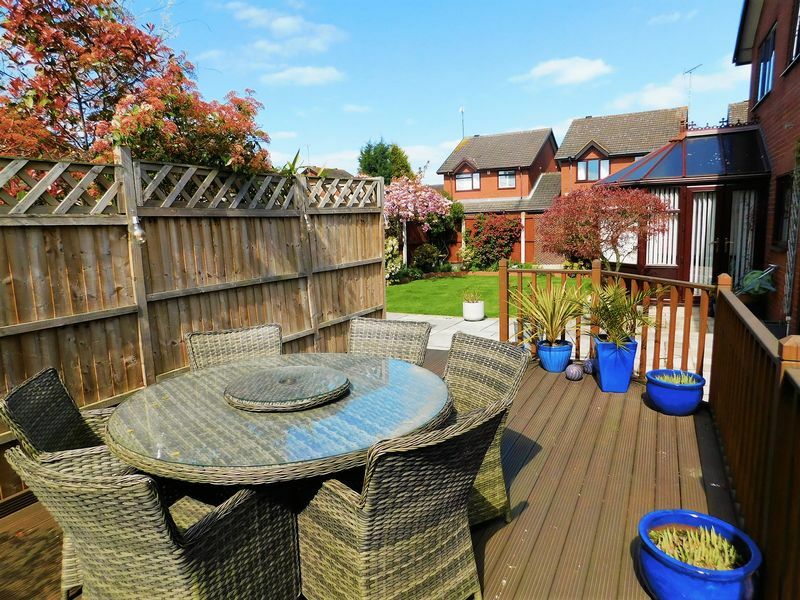 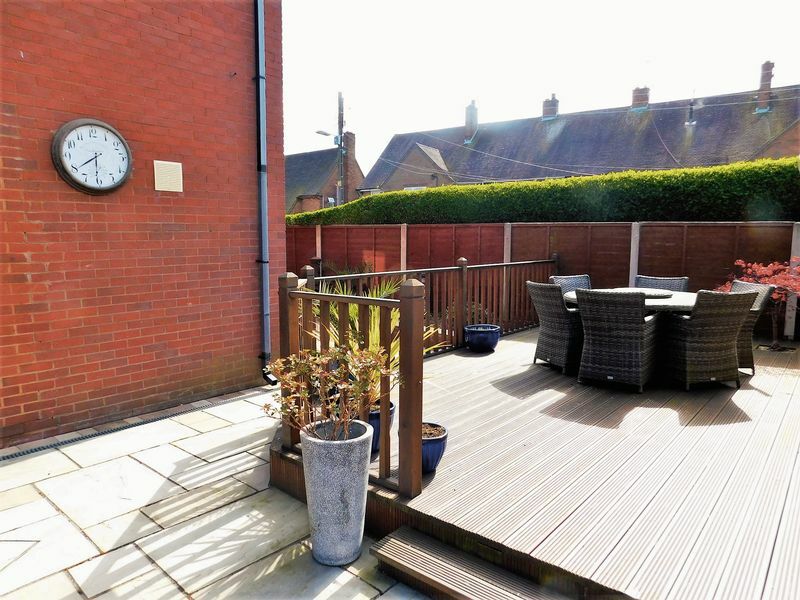 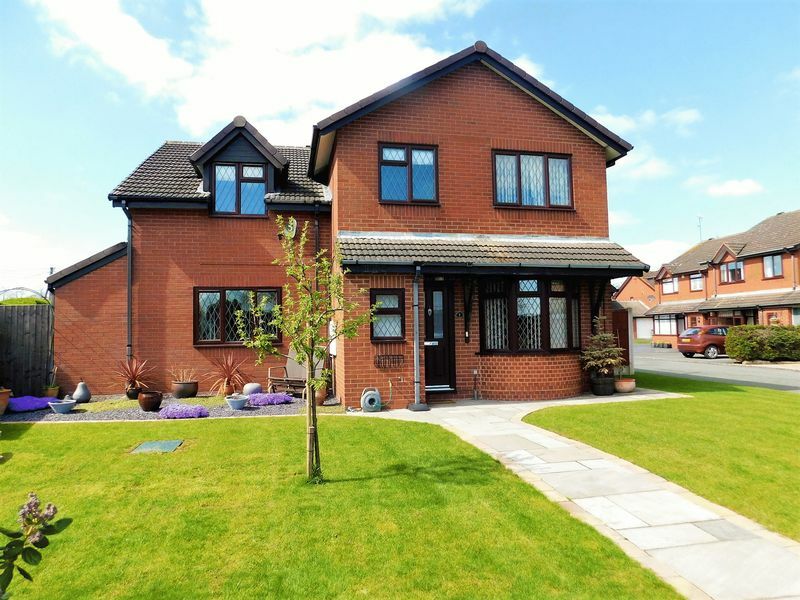 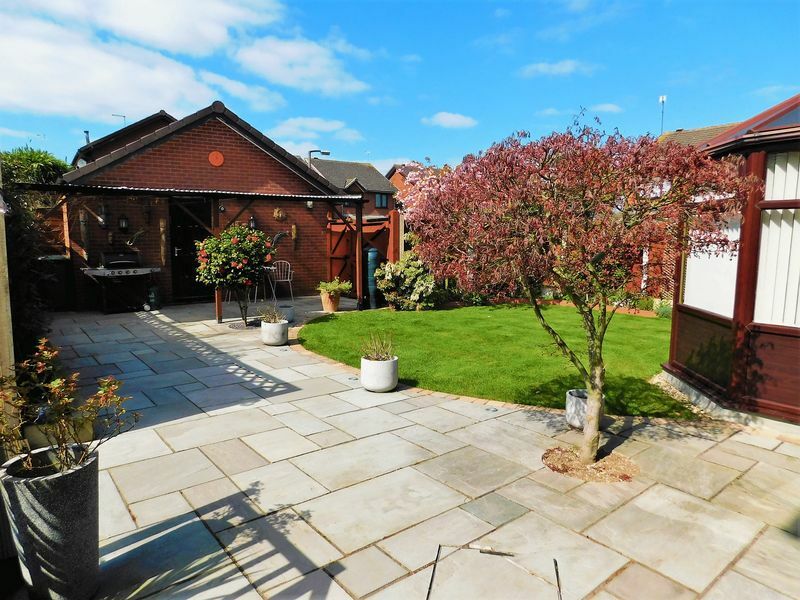 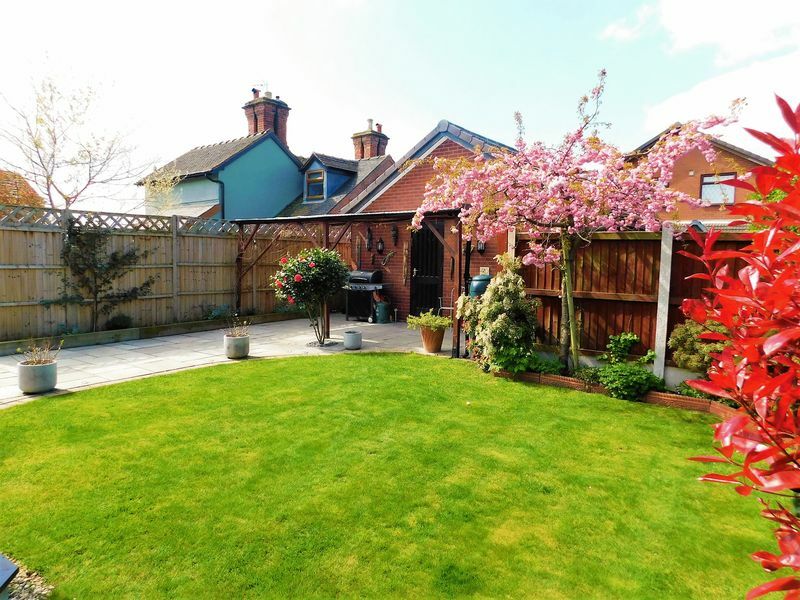 The property sits on an impeccably landscaped and spacious garden plot with an extensive lawned frontage. A flagstone paved pathway leads up to the front door of the property whilst to the rear is an enclosed 'sun trap' of a garden where there is a paved courtyard style garden accessed off the side porch with an extensive raised timber decked seating area sitting just behind. Steps lead down from here to a large flagstone paved patio which leads right down to the rear of the garden up to a further covered patio. 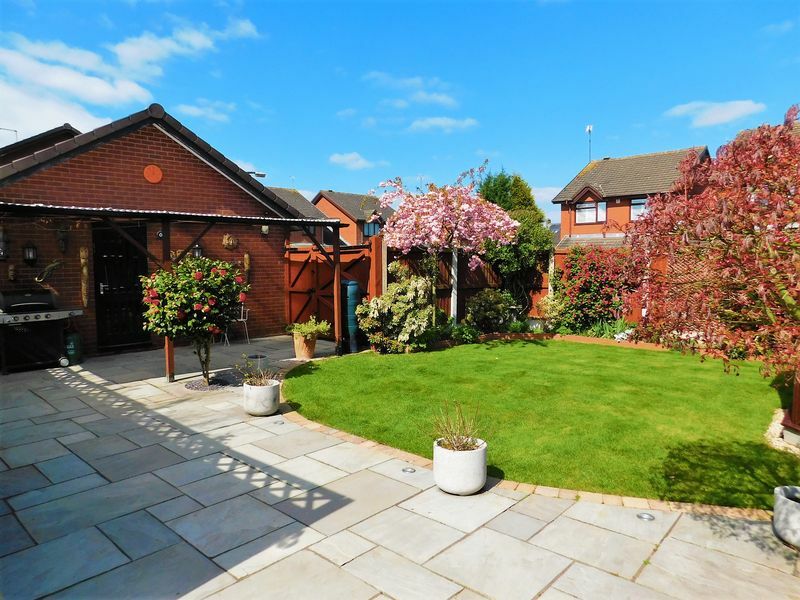 From here, gates lead off to the tarmacadam driveway which provides ample parking in front of the garage. The remainder of the garden is laid mainly to lawn with a well stocked shrubbed border whilst there is further space down the opposite side of the property for a storage shed.